All current and prospective Toptalers in and around Belgrade are invited to join us for an End of Year Gathering, on December 15th at Playground ICT Hub Belgrade. As 2017 draws to an end, it’s a great time to reflect on what we have achieved. The gathering will be a good opportunity to relax in the company of colleagues, and see what other Toptalers have been working on. 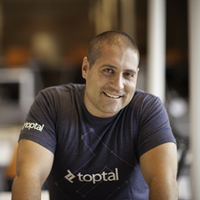 Feel free to bring a guest if you think they would enjoy meeting the Toptal team. Please RSVP on this page to give us an accurate head count. For more information on the event, please contact the event organizer, Predrag Gajić.